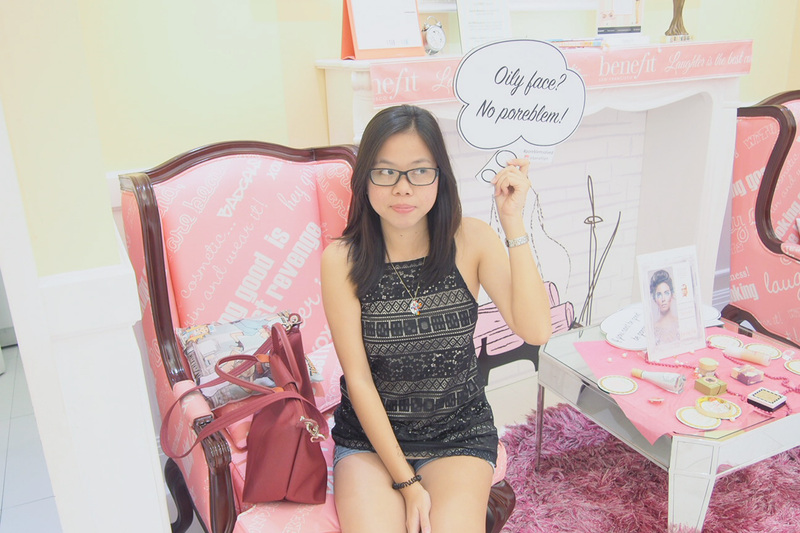 Last weekend I was at Benefit Cosmetics Alabang Town Center for a brow waxing service together with my bff Inna . 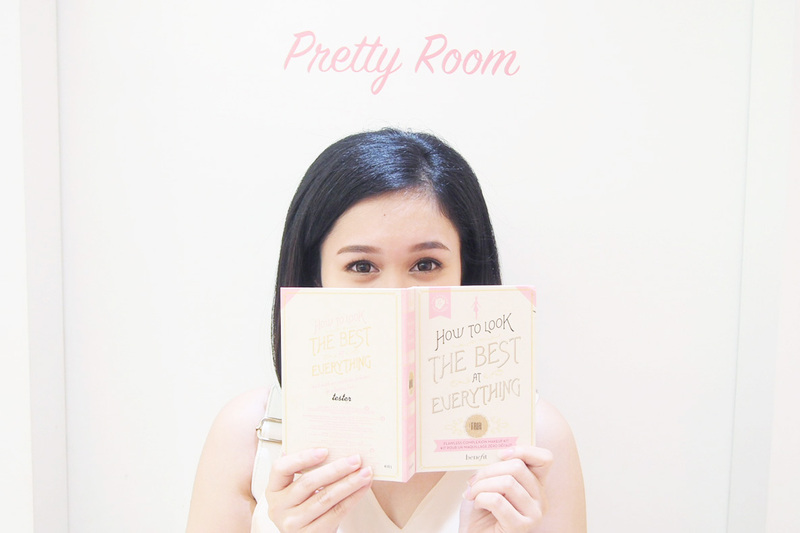 I would always groom my brows on my own with the help of my brow-friends, tweezer & razor. 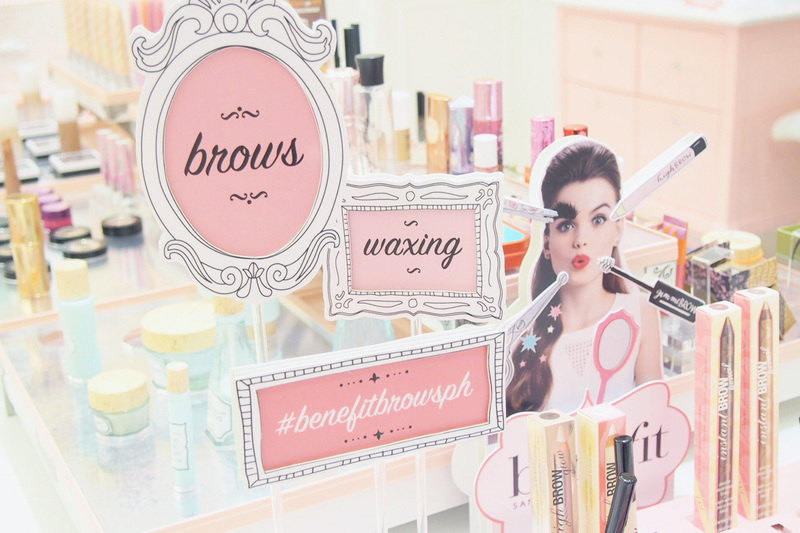 This brow wax at Benefit will be my first. When it was my turn my curiousity made me 'kalikot' the 'book' of blings (the one I'm holding - that's how I'll call it since I forgot what it's called) placed on the dresser together with the waxing tools. It's not visible in photo, but it's a directory/selection of the blings (mini diamonds) that can be placed on your brow bone. Here's the step by step process of how my brows were waxed. 1. My eyebrow makeup was erased to check the original shape of the brows, and reshape if needed. 2. Hot sugar wax was applied to the outer corners of my brows and pulled with a mini strip one part at a time. 3. After all the unwanted brow hairs are removed a cooling gel/liquid is applied to the brow area. 4. Eyebrows are filled in again using the Brow Zings Eyebrow Shaping Kit for that dolled up look. Since I've been taking good care of the shape of my brows I just needed some cleaning. If you're brows isn't in shape yet like my friend (you can check below) ... you'll get your brows marked first. *A small word of caution: Your brow area will be tomato red afterwards. Don't worry it'll be gone in a 10-15 minutes. 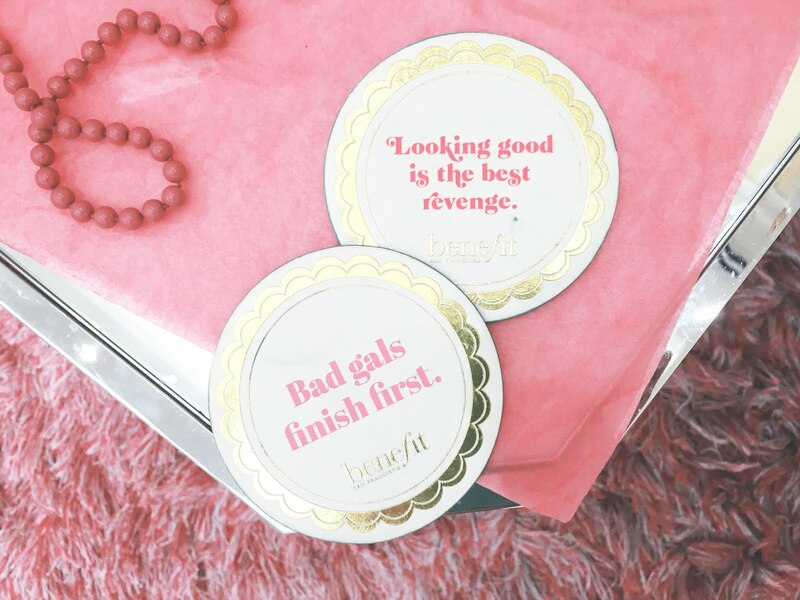 "Looking good is the best revenge." Inna came with me and had her brows done too. Like I've said, hers were marked and shaped first before the actual waxing process. It's her first time to get her brows shaped and plucked somehow the waxing was a bit shocking to her. Hehe. Afterwards, her brows are better shaped and cleaner. Yey! 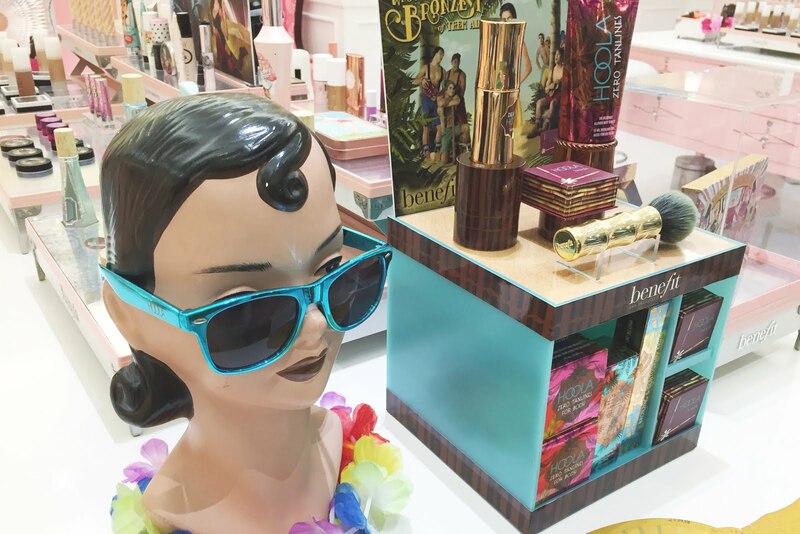 Since we were already at Benefit we wouldn't miss out on trying their well-raved products. 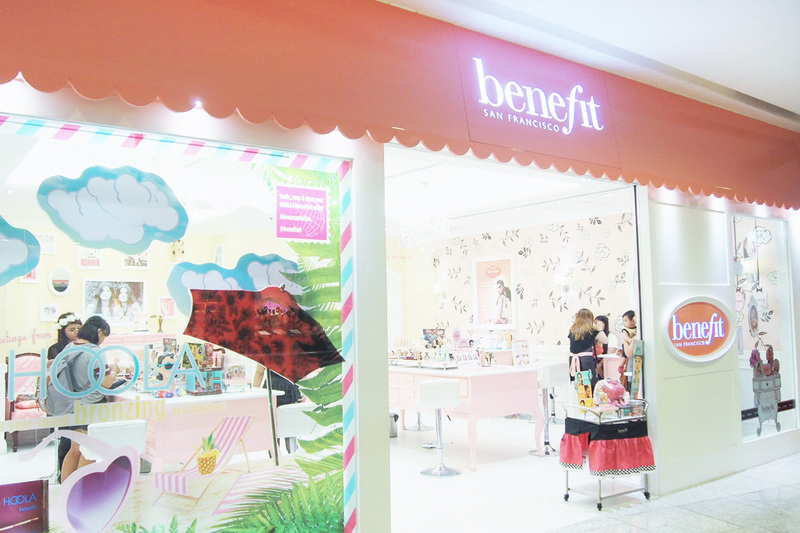 Benefit is known not only for it's quirky & whimsical packaging but it's amazing range of effective products. 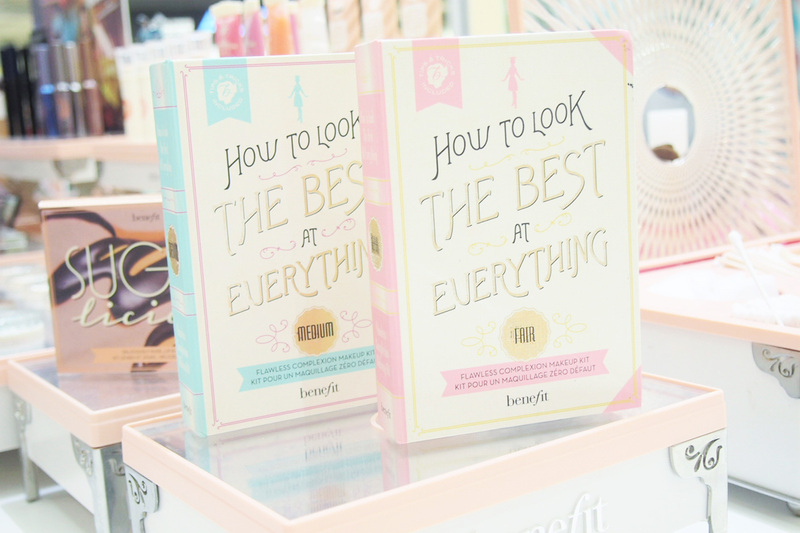 One of the things I love about benefit is there box kits. There products are not quite on the 'affordable department' so with kits you can try more of their products for the price of 1 or 2. You know these tints! 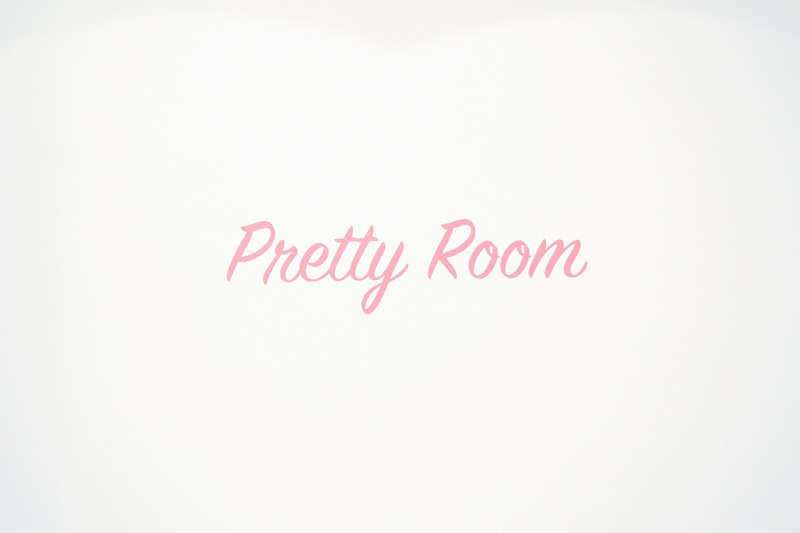 They've been available for a very long time and now I know why beauty lovers rave about it. 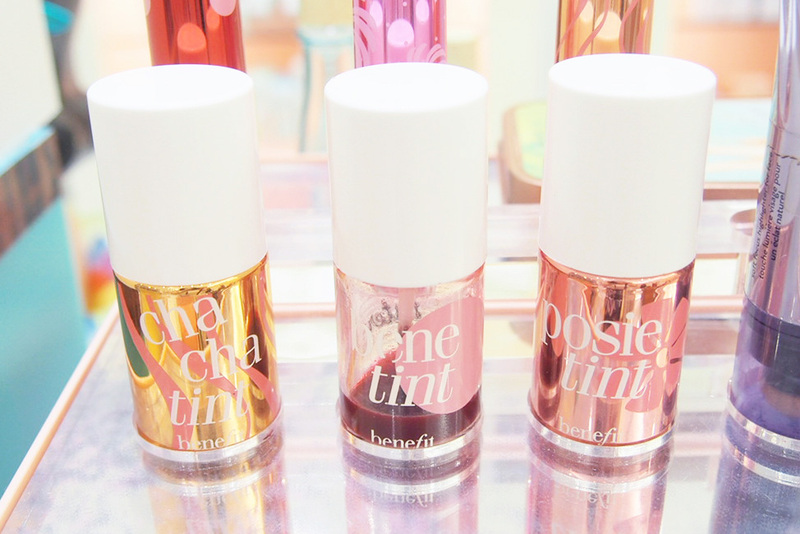 My swatch from left to right; Bene Tint, Cha Cha Tint & Posie Tint. 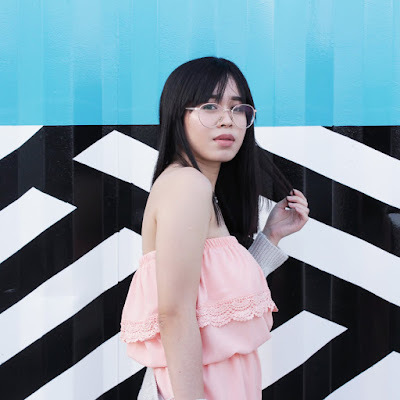 I super love the Cha Cha Tint, would've taken one home but I tried my best to stop myself since I still have quite a number of lippies at home. 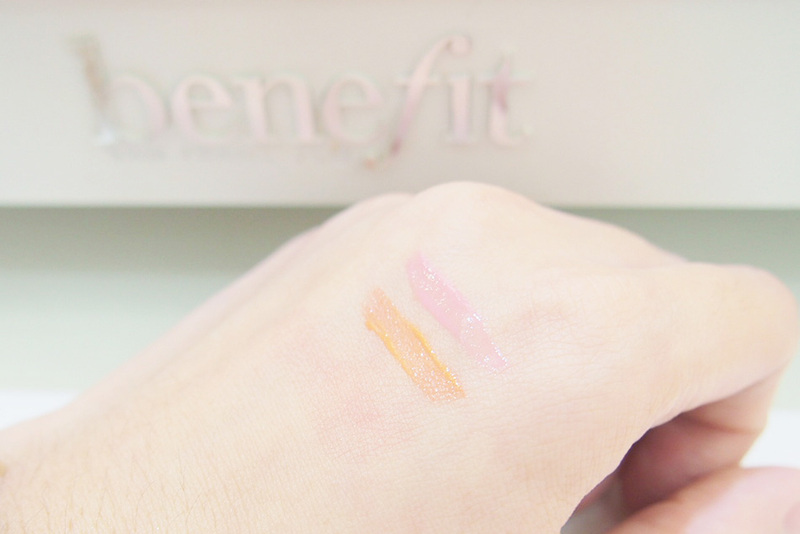 Compared to the two other tints, the Bene one is more on the liquid-ish side and is easily absorbed on the skin, it's also almost faint on the picture. 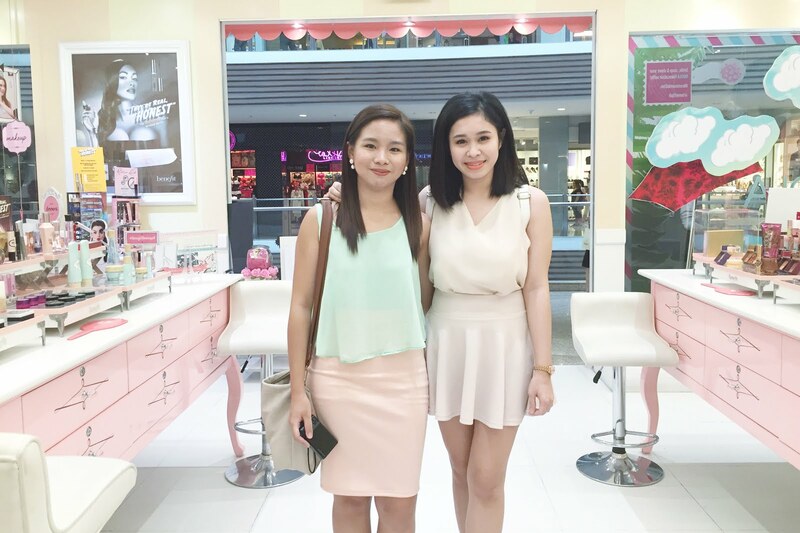 The Cha Cha & Posie has a creamier kind of matte form. 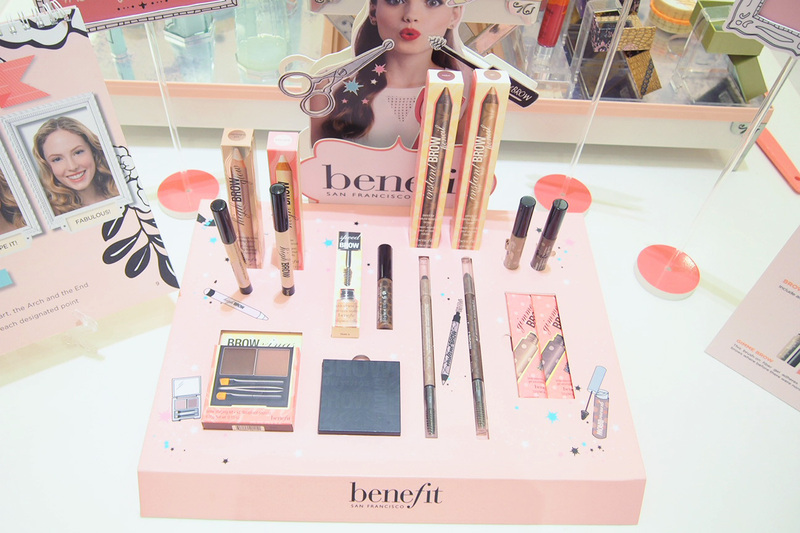 Benefit's Gorgeous Brow Makeup Line! 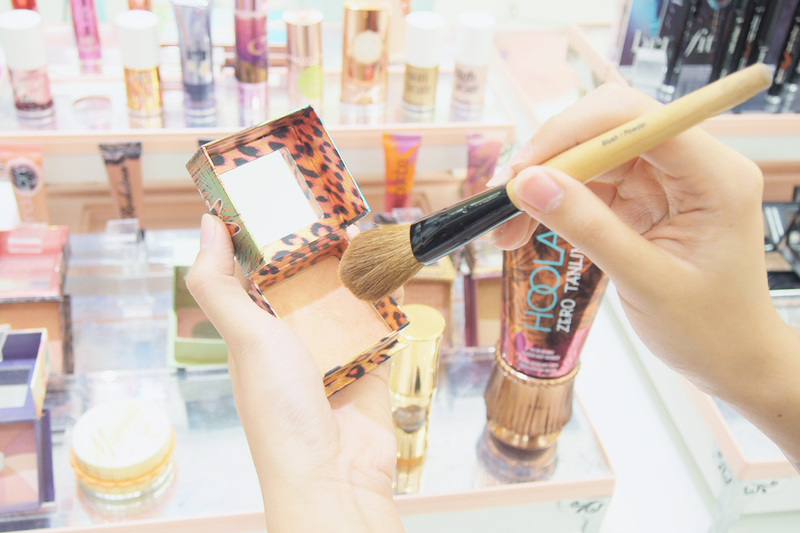 Adding on my wishlist - High Brow Highlighter Pencil, High Brow Glow Pencil, Instant Brow Pencil. Bumped into Monica of Lady Lionheart. 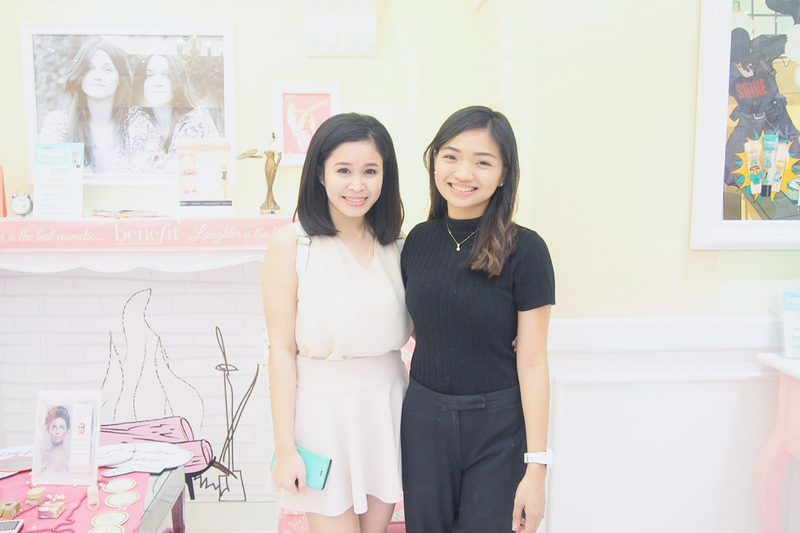 Special thanks and shoutout to Sean Sagun for inviting me to be part of Benefit Cosmetics Brow-Chika-Wow campaign! It was great meeting you. 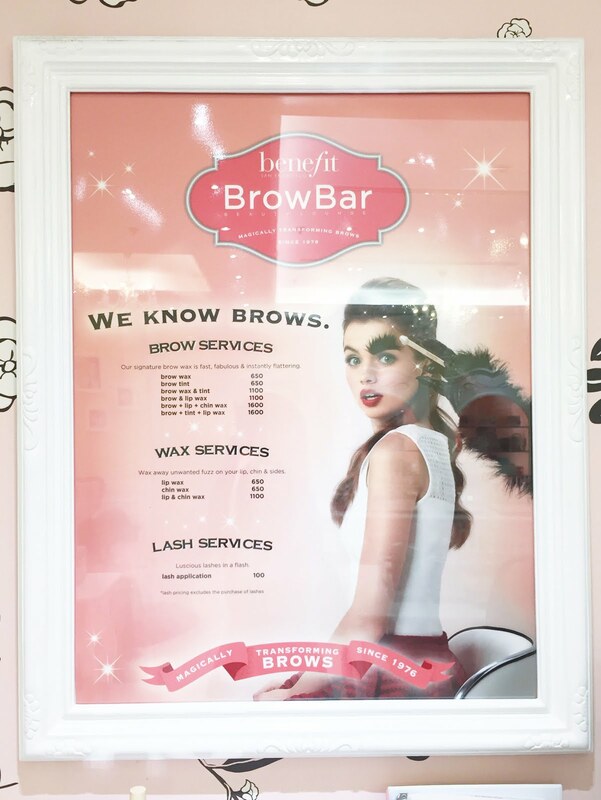 Here's a list of Benefit's Brow Bar services. 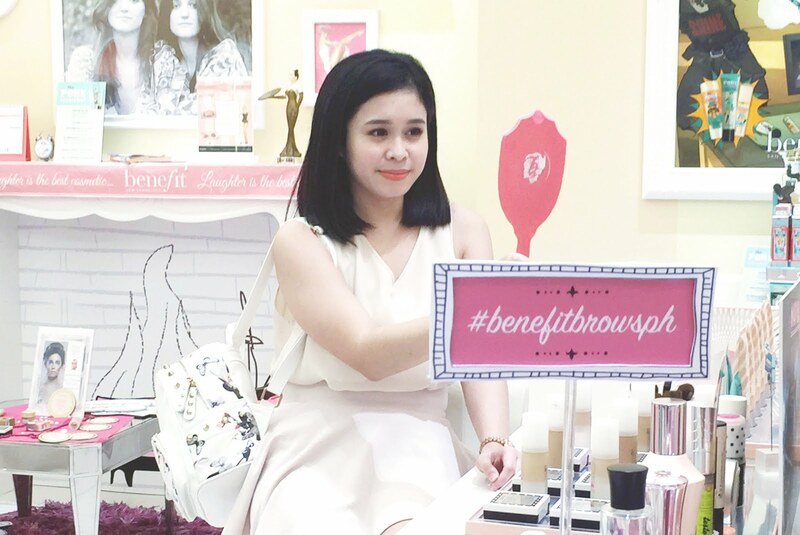 Now it's your turn to visit Benefit ATC! Girls walk in now and walk out WOW... You deserve to have a feel-good experience. 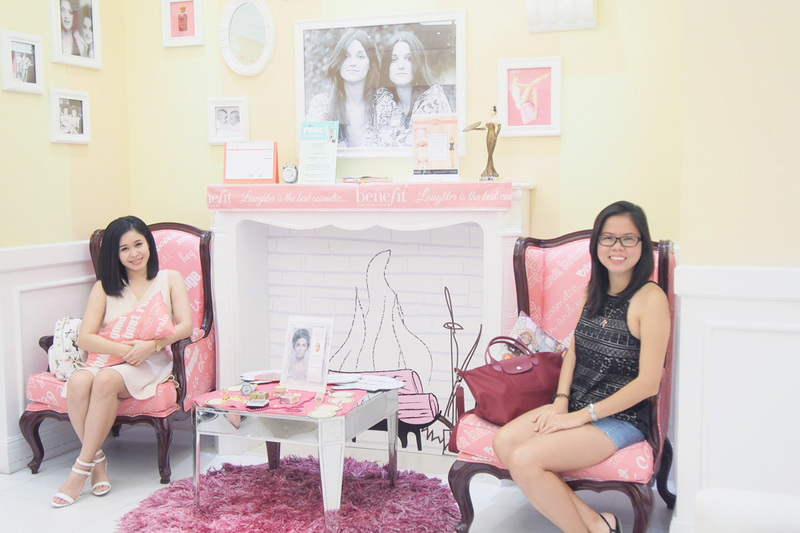 Plus, they have really friendly staff that will help you answer beauty queries about their products.